Tupungatito volcano is the northernmost historically active volcano of the central Chilean Andes. It is located on the Chile/Argentina border 99 km east of Santiago. 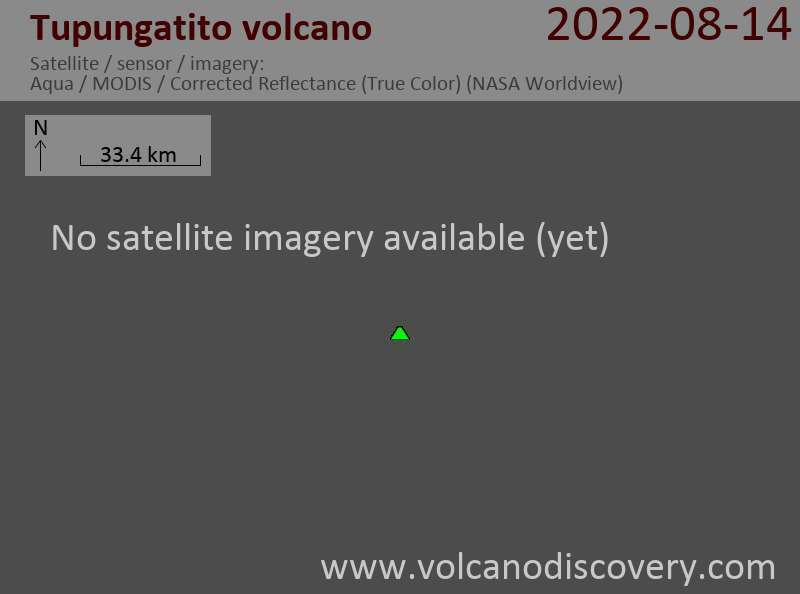 Tupungatito's name is a diminuitive version of the massive Cerro Tupungato stratovolcano located immediately southwest. Historic eruptions recorded since 1829 were frequent, but usually small explosive ash eruptions. 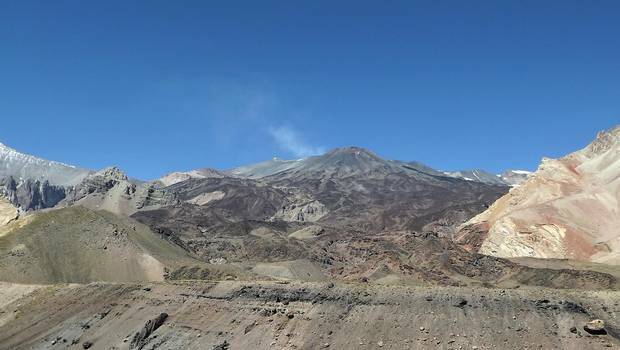 Eruptive activity of Tupungatito is controlled by a N-S-striking fracture and fault system. The volcano possibly has a secondary magma chamber. A volcanic-tectonic earthquake of magnitude 3.2 Richter occurred under the volcano yesterday. The epicenter was at 8.2 km depth 25 kilometers northwest of the main crater. This might announce a period of unrest at the volcano. SERNAGEOMIN keeps alert level at "green", but with "special attention", according to a newspaper article. Tupungatito, the northernmost historically active volcano of the central Chilean Andes, is located on the Chile/Argentina border 99 km east of Santiago capital. It is one of the country's more active volcanoes. Since 1829, frequent small explosive eruptions have been recorded, last in 1986.